The Philippines Bureau of Internal Revenue has publicized its intentions to raise the country’s tax ratio, through greater levels of efficiency in tax collection and stringent enforcement of compliance laws for taxpayers and Government staff . 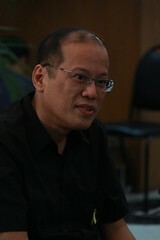 Speaking at the 106th anniversary of the Bureau of Internal Revenue, Benigno Aquino, President of the Phillipinnes, reaffirmed the BIR’s goal, but with a more pessimistic deadline of 2016. Kim Henares acknowledged Benigno Aquino’s position, but maintained that the two year time-frame will remain as the BIR’s internal aim. Both the President and Kim Henares affirmed that in order to increase the tax collections through administrative efficiency, the Government will need to stringently enforce Lateral Attrition (LA) laws. If exercised to their full effect, the LA rules mandate that BIR and BOC staffs that miss minimum collections targets by 7.5 percent or more, will be dismissed from service. However, the President did emphasize that tax agency employees that exceed predetermined standards will be appropriately rewarded for their efforts.